“…reprove, rebuke, exhort with all longsuffering and doctrine” 2 Tim. 4:2b (KJV). Those who have been called to proclaim God’s Word must always be ready to preach it on a moment’s notice—whether it is convenient or not! And while doing so, it is vitally important that they “reprove.” The English meaning of this word is “to rebuke or to find fault with,” but that is not what the Greek word elencho means in this particular case. “To expose” is an alternate meaning and clearly called for because the Greek word epitimao (“rebuke”) is next in line in the verse and would otherwise be redundant. So what is being said is that preachers must expose sin, rebuke sin, and exhort believers to avoid sin. When the Word of God is proclaimed it will encounter resistance and because of that fact preachers will have to be “longsuffering”—that is, to patiently endure the adverse attitudes and actions of those to whom they minister, because fleshly backlash definitely comes with the territory. “Herald and preach the Word! Keep your sense of urgency [stand by, be at hand and ready], whether the opportunity seems to be favorable or unfavorable. [Whether it is convenient or inconvenient, whether it is welcome or unwelcome, you as preacher of the Word are to show people in what way their lives are wrong.] And convince them, rebuking and correcting, warning and urging and encouraging them, being unflagging and inexhaustible in patience and teaching” 2 Timothy 4:2 (Amplified Bible). 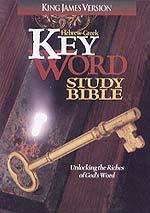 To correctly analyze and accurately divide the Word of Truth requires us to commit ourselves to diligent study. And a lifetime is not long enough to learn it all because there is more contained within the pages of the Bible than any mere mortal can possibly assimilate! It is far and away the greatest book that has ever been written and thus a relatively high degree of difficulty should be expected. The message is supernatural and continues to tax the greatest minds this world can produce, but are we to “throw in the towel” because it is hard to understand? No, because God expects His children to avail themselves of the teaching ministry of His Holy Spirit. When we approach a study of His Word reverently and with a heart that is eager to learn, He will see to it that we receive instruction and confirmation of its truths. The primary method of instruction God has chosen to use is “through the foolishness of preaching” (1 Cor.1:21). Those who are spiritually dead view the Gospel message as being foolish (1 Cor.1:18), so God uses preachers to proclaim that “foolish” message to save those who believe. Then a properly balanced ministry will also teach converts so that they will grow in grace and knowledge of Jesus Christ (2 Pet.3:18). And for that to be successful they must be exhorted constantly to study the Bible for themselves because human nature does not want to expend the effort. People want to be “spoon fed” and would rather be tied down over an anthill than be forced to think! So the inevitable result is that sooner or later many preachers yield to the pressure and follow the path of least resistance. They want to be perceived as having a successful ministry and thus must avoid having dissatisfied people leave to find greener pastures. So they resort to methods calculated to keep them happy and coming back for more. But this is a recipe for spiritual disaster because the end result will be a flock comprised of a very few (if any) ignorant sheep and a whole bunch of happy goats! God’s people instinctively know sound Bible teaching when they hear it and most of them will not stay around long when it is consistently missing, so which would you rather have sitting in the pews—a few genuine believers or thousands of goats/tares masquerading as sheep/wheat? My desire is to minister to the relative few who are truly hungry for God’s Word. So I am greatly saddened by the fact that teaching and preaching of sound Bible doctrine is being replaced today by “feel good about yourself” plans and programs. The oft-heard excuse is that “doctrine divides and we want to hear teaching that unites us,” but to this I must reply that God’s people must never sacrifice doctrine for the sake of unity! While it is true that harmony among the brethren is something we should seek, there has to be a common sense cut-off point. Because if proclaiming the entire counsel of God (Acts 20:27) offends people and they cannot be persuaded, let them go their own way. “But Jesus, knowing within Himself that His disciples were complaining and protesting and grumbling about it, said to them: Is this a stumbling block and an offense to you? [Does this upset and displease and shock and scandalize you?] 62 What then [will be your reaction] if you should see the Son of Man ascending to [the place] where He was before? 63 It is the Spirit Who gives life [He is the Life-giver]; the flesh conveys no benefit whatever [there is no profit in it]. The words (truths) that I have been speaking to you are spirit and life. 64 But [still] some of you fail to believe and trust and have faith. For Jesus knew from the first who did not believe and had no faith and who would betray Him and be false to Him. 65 And He said, This is why I told you that no one can come to Me unless it is granted him [unless he is enabled to do so] by the Father. 66 After this, many of His disciples drew back (returned to their old associations) and no longer accompanied Him. John 6:61-66 (Amplified Bible, emphasis mine). “Jesus said to the Twelve, Will you also go away? [And do you too desire to leave Me? ]” John 6:67 (Amplified Bible). What we need to recognize about this is that He made no attempt to change the minds of those who left. Why? Because true unity cannot be achieved unless everyone involved is on the same page, so to speak. That multitude was comprised largely of unbelievers and He knew they would never believe that He was their Messiah so He did not waste time trying. And attempts today to promote unity within the mostly apostate body of Christendom should be avoided by genuine believers for the same reason! “What harmony can there be between Christ and Belial [the devil]? Or what has a believer in common with an unbeliever? 16 What agreement [can there be between] a temple of God and idols? For we are the temple of the living God; even as God said, I will dwell in and with and among them and will walk in and with and among them, and I will be their God, and they shall be My people. 17 So, come out from among [unbelievers], and separate (sever) yourselves from them, says the Lord, and touch not [any] unclean thing; then I will receive you kindly and treat you with favor, 18 And I will be a Father to you, and you shall be My sons and daughters, says the Lord Almighty. 2 Corinthians 6:15-18 (Amplified Bible, emphasis mine). The average church today would not recognize Bible doctrines if they heard them—and it is highly unlikely that they will hear them because their leadership is too busy entertaining people to bother with such trivial things. The pews are filled with people having nothing more than an intellectual knowledge of Jesus Christ. They have been taught some basic facts concerning Him, but in reality are just following the circus atmosphere that permeates most ministries. A reverent and prayerful verse-by-verse, chapter-by-chapter study of the entire Bible is as foreign to them as pantyhose are to porcupines! And to make matters worse, even in conservative churches where preachers are trying to hold the line concerning matters of faith and practice, the people are often being starved to death by a steady diet of salvation sermons! I know what I am talking about because I have been there and done that! A pastor must recognize that there has to be a balance between evangelizing the lost and making disciples of those who respond to the Gospel message. Because if all a congregation ever hears are sermons on how to be saved, how are they supposed to learn difficult Bible doctrines? To expect independent study on their part without being given direction from the pulpit is unrealistic and that is why God calls pastors to “feed” them from His Word. All dessert and no veggies is an unhealthy diet. If preachers have been faithful in proclaiming the Gospel, the majority of their flock should be comprised of born again believers who need to weaned off “milk” (1 Cor.3:2). For proper spiritual growth this is necessary to ensure they will get beyond the stage of being “babes in Christ” (1 Cor.3:1). 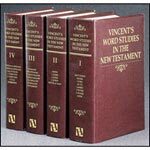 The doctrines of the Bible are like good juicy rib-eye steaks—they must be thoroughly chewed by “spiritual teeth” to be properly enjoyed and digested. So if you are not getting this in your church, you have three choices: (1) remain a bottle baby by reveling in the emotional aura surrounding typical evangelical preaching, (2) insist that the pastor fortify the diet you are being fed with solid doctrinal teaching, or (3) seek some steak elsewhere! Christendom (comprised of all professed believers in Christ, with a definite minority of genuine believers) is in the throes of apostasy. And the gradual defection from the truth of God’s Word continues to be hidden behind a smokescreen of evangelical effort around the world! There are still godly missionaries out there who are faithful to their calling, but religious hucksters are replacing the simple Gospel message of faith in Jesus Christ with every kind of pseudo-psychological-spiritual message imaginable as they vie with one another for followers. The Lord’s exhortation to make disciples (Matt.18:19-20) and teach them His commandments is now largely ignored as men surround themselves with “itching ears” disciples (2 Tim.4:3) who follow them because of their personal charisma and teaching that appeals to fleshly appetites. “Let no one deceive or beguile you in any way, for that day will not come except the apostasy comes first [unless the predicted great falling away of those who have professed to be Christians has come], and the man of lawlessness (sin) is revealed, who is the son of doom (of perdition), 2 Thessalonians 2:3 (Amplified Bible). And in the minds of most believers the expectation is firmly fixed that the apostasy will be when the tares (counterfeit Christians) rebel and overtly renounce Jesus Christ en mass—probably stemming from the basic concept of “rebellion” inherent in the Greek word apostasia translated as “falling away.” But since apostasy has plagued the Church from its inception, the apostasy will be the concluding event of a long and gradual process. It will take place when the unsaved masses of Christendom embrace the Satanic New Age “christ” (the Antichrist) and the counterfeits will be none the wiser! That principle is strongly implied in the fact that God is going to make sure they are eternally deceived! “Therefore God sends upon them a misleading influence, a working of error and a strong delusion to make them believe what is false 12 In order that all may be judged and condemned who did not believe in [who refused to adhere to, trust in, and rely on] the Truth, but [instead] took pleasure in unrighteousness” 2 Thessalonians 2:11-12 (Amplified Bible, emphasis mine). It is common knowledge that Christians believe Jesus Christ is coming back to rule and reign over this world. And the devil is going to take full advantage of it when he has his man to come on the scene proclaiming to be the One they are expecting! Those who are solidly grounded in Bible doctrine know that certain things are prerequisite to Jesus Christ’s return and among them are: (1) the apostasy and (2) revelation of the Antichrist! Therefore, nothing the devil can say or do will ultimately deceive them into believing the lie. But throw in some mind-blowing miracles along with stupendous oratory from the mouth of Satan incarnate and the counterfeits will welcome him with open arms—even if they had heard teaching somewhere along the line to the contrary! They will have been fully set up for this event by a combination of false teaching and a near total lack of knowledge about the doctrines of the Bible. I am absolutely convinced that we are presently experiencing the combination of Satan’s deception and God’s “misleading influence” at work within Christendom. What little wheat is actually growing among the tares is stunted because of several factors—not the least of which is a lack of knowledge about what the Bible actually teaches—and the Church has become impotent as an evangelical force in the world. The need for separation from unbelievers is not generally understood, much less practiced, and the drumbeat of “unity” is a steadily growing influence. So be advised that unity in matters of religion is at the very heart of Rome’s Ecumenical Movement and will ultimately result in the one-world church of the Antichrist. Therefore, if you truly know Jesus Christ as your personal Lord and Savior, I strongly encourage you to study the great doctrines of the Bible for yourself instead of depending upon a preacher to “spoon feed” you. Many good men are failing to properly educate their flocks in this regard and hordes of charlatans are keeping their followers in the dark because ignorant people are much easier to manipulate for personal gain. How does one go about a study like this? 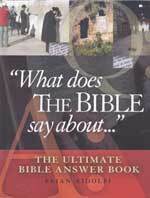 The best and simplest way I know of is to purchase a copy of Willmington’s Guide To The Bible (ISBN 0-8423-8804-4). Of course this is not an exhaustive study of systematic theology, nor was it intended to be, but in my opinion the information will be well worth the price paid and the effort expended to study it. So please consider doing yourself this favor because one can never know too much about the Word of God!